Why did the Ybor chicken cross the road? For over a hundred years, wild chickens have been hatching eggs in Ybor City. The first Ybor City residents brought the chickens from Key West when they moved here to work in factories. The birds were used as pets, food sources and entertainment. According to the Ybor Chickens Society , there are about 150 chickens in Ybor, but that number fluctuates throughout the year. Remember! Don’t egg these chickens on, they’re protected under Tampa’s Bird Sanctuary Law, which prohibits the chickens to be trapped, hurt, maimed or killed. Any and all birds in Tampa city limits are covered by this law. 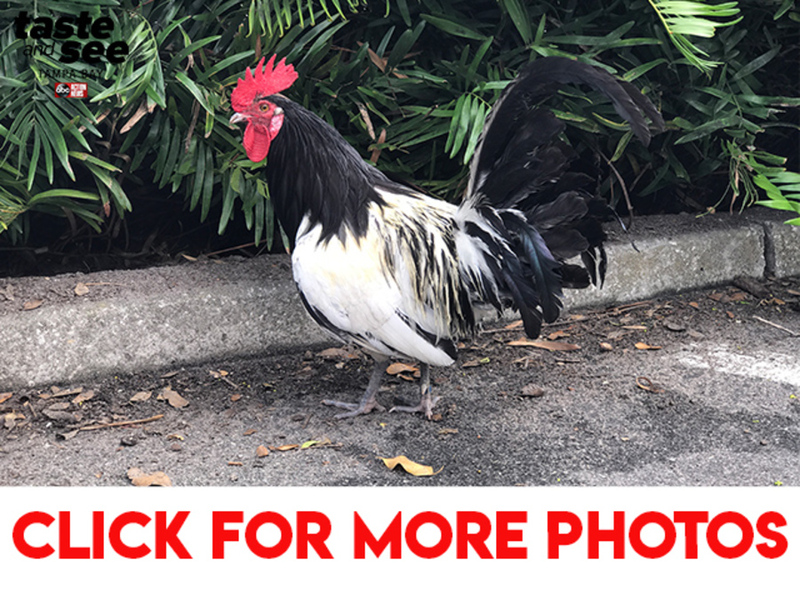 There are several types of chickens in Ybor, but we won’t know for sure until Michigan State University conducts a genetic study on the birds later this summer. These chickens might feel a little scared since they’re frequently chased, but don’t forget, they know how to ruffle some feathers. If you would like to get involved and help the chickens of Ybor City, visit the YCS website at yborchickens.org . Maybe you’ll find the answer to the age-old question: Why did the chicken cross the road?